IRAN. Tehran. 1979. 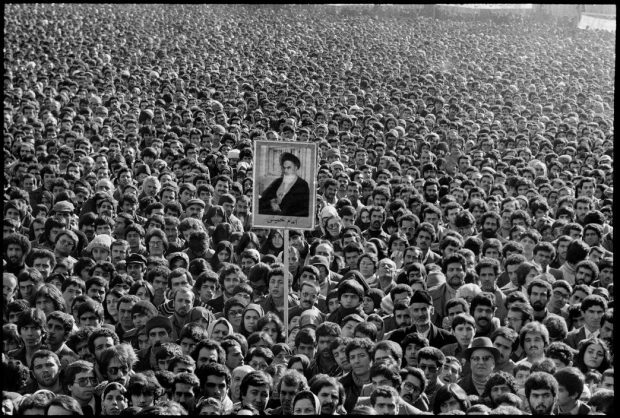 Ayatollah Ruhollah KHOMEINI's portrait is exhibited by the crowd attending the opening of the Tehran university. 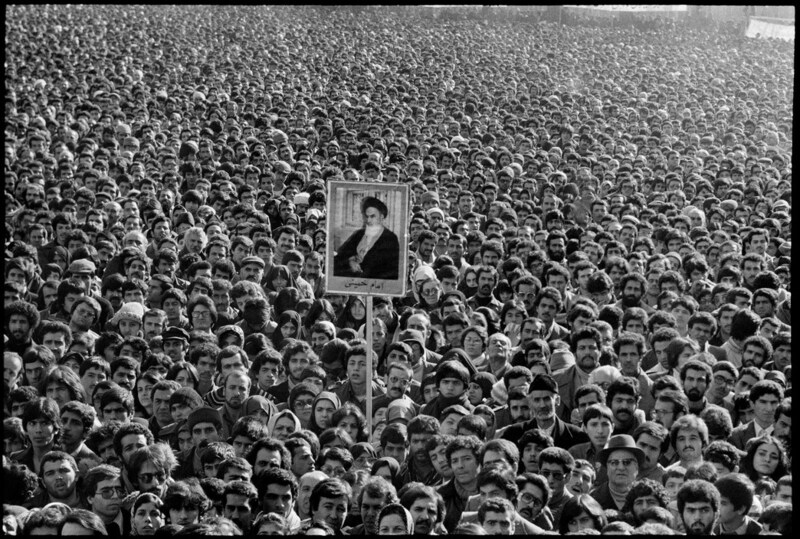 The future President of the Islamic Republic Mahmoud AHMADINEJAD is in the bottom right, behind the man in the fur hat.